Find, choose and compare Learning Management Systems with Active Directory/LDAP Integration Support in the Top LMS Software directory of eLearning Industry. Trainees are allowed to use their SSO credentials to login by following an easy and quick authentication process. 187 results matching your search criteria. 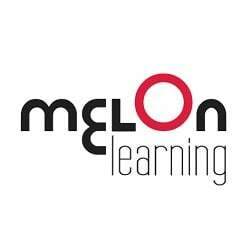 MelonLearning LMS is the one eLearning platform that will help you rapidly increase revenue by enabling your sales force to accelerate product knowledge while minimizing cost and time spent on training. Motivate Cloud is a social learning management system that gets used 4x more than other LMS platforms. Motivate Cloud lets you organize all your content—eLearning, videos, classroom training, job aids, etc.—in one place. Mycoach LMS is a consumer-grade learning platform that synergises our technology and your vision to create exceptional learning experiences for your employees. myTutoring solves the reach, discovery, matching, scheduling, collaboration and payment inefficiencies in the tutoring value chain by enabling online live personalized learning anytime, anywhere. With Nera LMS, we take the concept of LMS far beyond providing digital training content. We rely on edX, the infrastructure used by international organizations such as MIT, Harvard and Microsoft. Multi-channel LMS compatible with eXperience API Launch all online, onsite and blended courses and obtain detailed tracking reports, all from one application. NexusComply is a ground-breaking compliance solution based on the Totara LMS and eLearning content provided by Learning Nexus, as well as a host of tools to help you manage your workforce's learning and development. The NovoEd Learning Platform powers a wide range of online learning experiences, from blended, cohort-based programs to self-paced, micro-courses. Participants learn by collaborating on projects, sharing feedback, and applying skills to work. 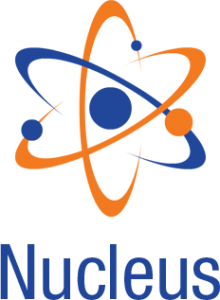 Nucleus is a web based LMS (learning management system) by Shezartech. Hosted on cloud or in house hosting set up as required this cloud LMS can be accessed for elearning requirements across all modern browsers. NuCLO(TM) is a robust, comprehensive LMS for Corporates and Training Providers. It is the only LMS that has a built-in action learning and measurement methodology called CALF(TM). Learn. Manage. Deliver and Measure with NuCLO(TM)! Ofabee is an online platform to create and sell your courses. Create online mock tests platforms for competitive exams and broadcast your classes online. Set of cloud-based applications and services to manage and deploy all training and corporate knowledge processes. It offers personalized training experiences and continuous development to any company, regardless their needs, budget and size.